It may surprise some, who have been planning on funding their retirements for a couple of decades, to learn that there is a science of immortality at all. 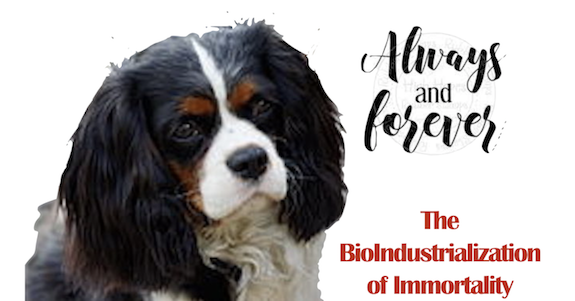 It will shock most to discover that work is progressing on specific age-defying technologies from mice to dogs, and that human trials may be on the radar in a few years. For now, life-extending rather than immortality-conferring. It will not shock readers to discover that this area of technology has drawn the eye of some, ahem, aging yet powerful investors and that the entire field is steeped in a series of back-and-forths over claims of hype, the real potential and likelihood of such technologies and even the ethics of using them. The source of the most recent news in the field is not surprisingly out of George Church’s lab at Harvard — where we heard just a few years ago that there was an effort on to revive the woolly mammoth, and from which lab hath spewed an entire catalogue of sometimes exciting, sometimes improbable bursts of technology. In the year 8585, if George Church is still alive…he might look even younger than today. Out of the lab has come a spin-out called Rejuvenate Bio, and here’s a recent flyer which, as you can see, offers a potential to make selected pets “healthier, happier, and younger.” Daniel Oliver, a co-founder of the 3D printing technology Voxel8 and an entrepreneur in residence of late at Harvard’s Wyss Institute of Biologically Inspired Engineering, has signed on a CEO. The science lead is a postdoc out of the Church lab and the Wyss Institute’s Synthetic Biology group, biological engineer Noah Davidsohn, who aims “to develop an age reversal therapeutic using CRSPR technology”. Here’s what happens in gene therapy. Turns out, you can’t just stuff new DNA into an old cell. But you can modify certain viruses to make them harmless to humans (or your test animal of choice), then “new and improved” DNA is inserted into the virus, which is injected or given via IV, where the virus introduce the DNA into the nucleus of the cell. The US National Library of Medicine illustrates it this way. For now, the target according to the Churchians is to give a person the means to live to 130 with the body of a 22-year-old. Now, there is research that has doubled the lifespan of selected worms and flies. And there’s been some interesting progress with mice. 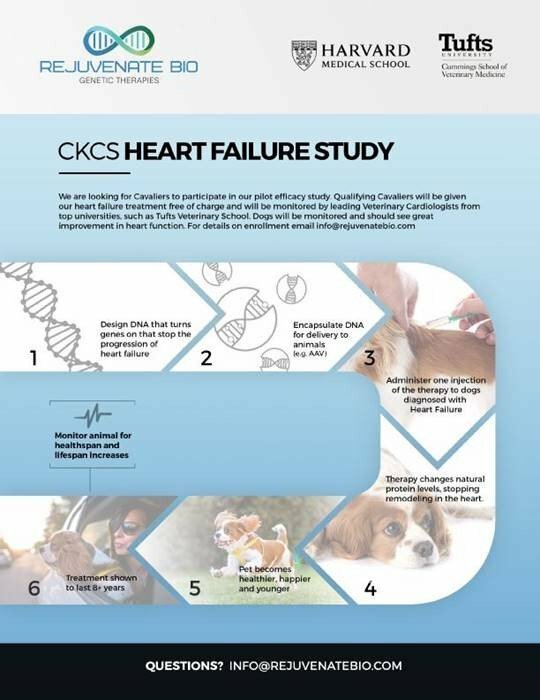 Rejuvenate noted that its technology has been tested on at least four beagles, and the company is attempting to generate funding and test subjects around the elimination of a well-known heart defect that impacts King Charles Spaniels. What’s the scientific basis of all this? Yes, there’s something meaningful behind all of this. Via gene therapy, it is possible (so far, in mice) to return cells to a state of youthfulness last seen in the embryo. 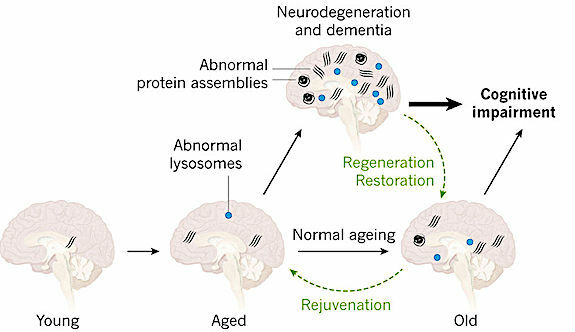 Getting multiple cells to reset themselves to a youthful state? Tougher nugget. Whole organs or body functions? Harder still? And to reverse aging across the entire human portfolio of millions of cells? As yet, a daunting target. With the potential for unintended consequences, and trade-offs along the way. But who doesn’t want their pet dog to wag their tail with puppy vigor for years, or even decades, longer? And who will be able to resist the temptation to dabble in age-reversal for humans. Dying isn’t popular, and since you can;’t take it with you, the potential investor pool for immortality science is broad and deep. Will we live forever? Who knows? Then again, engineers have found digital means of ensuring that re-runs of “My Mother The Car” will be available for thousands of years. In which Gladys Crabtree returns from the dead to haunt her adult son David (played by Jerry Van Dyke) by speaking to him through the radio of a 1928 Porter Touring Car. The series probably wouldn’t ever have been made, except for the singular appeal of an unexplained technology that allowed a form of immortality to the mother. Mom Forever. Starting with a King Charles Spaniel for a lot longer. 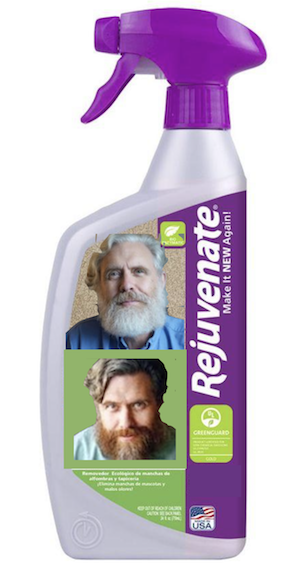 It’s a powerful idea, and here’s Rejuvenate Bio to tantalize us with some plausible science and, er, bold vision. We’ll stand by as immortality science aims to take a giant leap forward.